Full control at 100 mph and yet make the car look out of control. That is his job. He is Elliot Cole. He is the man who shows up as an anonymous stunt driver in blockbuster films and then returns to the racetrack to teach a grand-grandmother how to drive her dream sports car. Senior professional driver for AMG Driving Academy at Mercedes-Benz World. As long as his position may sound on the paper, his job – he says – is actually quite simple. “I just drive or teach others how to do it”, he puts it in plain words. His outdoor “office” is the same place where Mercedes-AMG PETRONAS runs the squad’s tests in between seasons and races, Brooklands, United Kingdom. Even though he runs around in circles over and over again, he says he never gets bored. “No two days are the same, which is a real perk of the industry I am in”, he tells. The industry is moving fast and he cannot stay behind. The technology is moving forward, the design is permanently upgraded. He is training others, but also training himself. 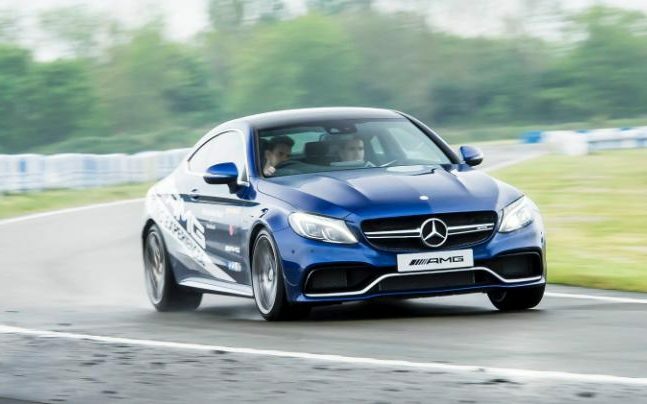 “The thrill of the job never gets old – I think euphoric would be the kind of word to describe it,” he adds, as he gets onboard the Mercedes-AMG C63 S Coupe and spins around the Mercedes-Benz World once more.